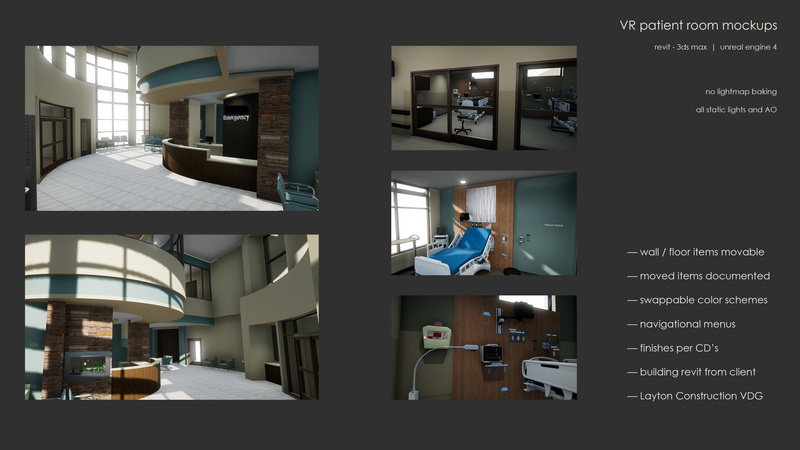 VR healthcare mockups. Revit to Unreal Engine 4. Screenshots from within VR. Building model from Revit from Architect, most assets from purchased libraries, some architectural details added.